The FSU parking bargaining team engaged in bargaining all day on Thursday, October 25,th knowing there was only a half-day of bargaining left before we move to mediation (for a Power Point primer on the parking bargaining process see here). The Administration has proposed a new construct for assessing parking rates based on average workload for faculty in our bargaining unit. We have proposed semi-annual passes that will cover unlimited use. We are still fighting over multi-park passes. There are still many important issues to work out. We need additional testimony from members if you want to continue multi-park passes and reasonable rates. 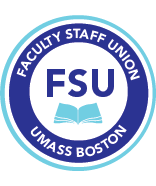 Our last bargaining session is this Wednesday, October 31 from 11-3. Let us know if you can testify about parking concerns that you have. We will hold a member update on parking on Wednesday, November 7, 12 noon, in ISC, 2nd floor, conference room 2003. Pizza will be served. Concerned about the parking fee increase? We are. At the UMB Town Hall, interim chancellor Newman made clear her intention to radically boost fees in order to pay off the debt on the new garage—even despite last year's surprising surplus and the prospect of many millions in new revenue from the looming Bayside development. Join us for a Halloween Parking Parade this Wednesday, October 31st at 12 noon by the Steelworker Statue on the plaza to let the UMB administration know that we will not be forced to pay for this debt. Get your costume ready! Only YOU, your co-workers and students can prevent a drastic parking fee increase! See the attached for more information.